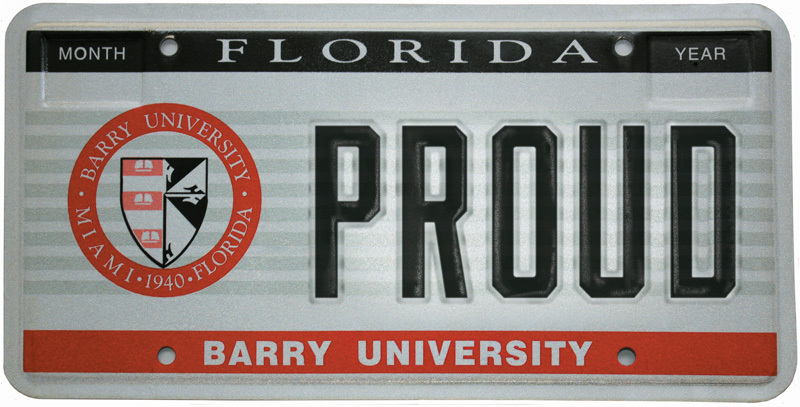 A Barry University license plate is a great way to show your Barry spirit and colors while supporting academic excellence! Each time you purchase or renew your license plate, a portion of the fee goes to the Barry University Alumni Scholarship Fund. How much does a Barry license plate cost? For a standard plate, it's just $25, in addition to your regular plate cost. How do I order a Barry University License plate? Just stop by your local Florida tag agency and purchase the plate. The Barry University collegiate tags can only be used on vehicles registered in the State of Florida. What's on Your Barry plate? There are so many different reasons to show that you are proud of Barry with a seemingly simple license plate. 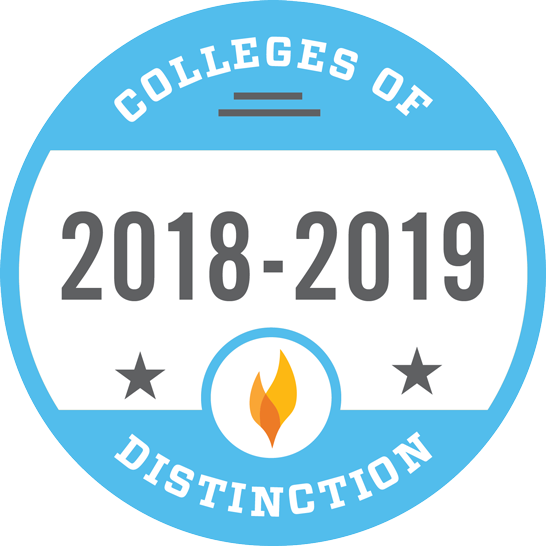 Besides supporting the Alumni Scholarship programs of the University, you'll also be spreading the Barry name and history of excellence. Each time you purchase or renew your collegiate license plate, the additional $25 fee goes directly to the Barry University Alumni Scholarship Fund. Myth: Purchasing a special Barry University license plate is a hassle. Truth: Purchasing a Barry University license Plate in the State of Florida is as easy and convenient as purchasing the standard issue plate. Simply visit your local tag agency or tax collector anywhere in the state. Myth: Special plates are expensive. Truth: While purchasing a specialty plate is slightly more expensive ($25.00 a year), ALL of those funds are returned to Barry University's Alumni Scholarships. PLUS the $25.00 is tax deductible. Myth: I have a personalized tag and have been told that I can't have my Barry University license plate personalized. Truth: You can actually have your Barry University license plate personalized with up to five letters and numbers. This will incur the same additional personalization cost as the standard tag. 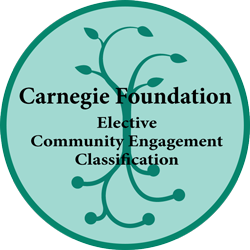 Those funds are not donated to the university and are not tax deductible. Myth: I have to graduate from Barry in order to purchase a plate. Truth: Anyone who registers their vehicle in the State of Florida is eligible to purchase the special Barry University license plate. Myth: I just renewed my vehicle registration with a standard state plate; don't I have to wait until I next renew my plate to make the switch? Truth: If you have already renewed your license plate through the mail, you can still switch before your next renewal date. Simply visit your nearest tag agency or tax collector to make the switch. Myth: The extra fee is not deductible on my taxes. Truth: In fact, the extra $25.00 fee is a tax deduction if paid by you personally. Each year that you purchase or renew your Barry University license plate, you'll receive a receipt from the state. Only the $25.00 fee for the Barry plate is deductible. Check with a tax consultant for additional information about tax deductions.